Salmon-Safe invites environmentally innovative design firms to pilot Designer Accreditation, the nation’s first independent accreditation program to recognize a firm-wide commitment by professionals in a design practice to key principles related to urban watershed stewardship. Focused on architects, landscape architects, civil engineers, municipal decision makers, land use specialists and sustainability consultants, Designer Accreditation is the latest in a series of accreditation programs from Salmon-Safe. 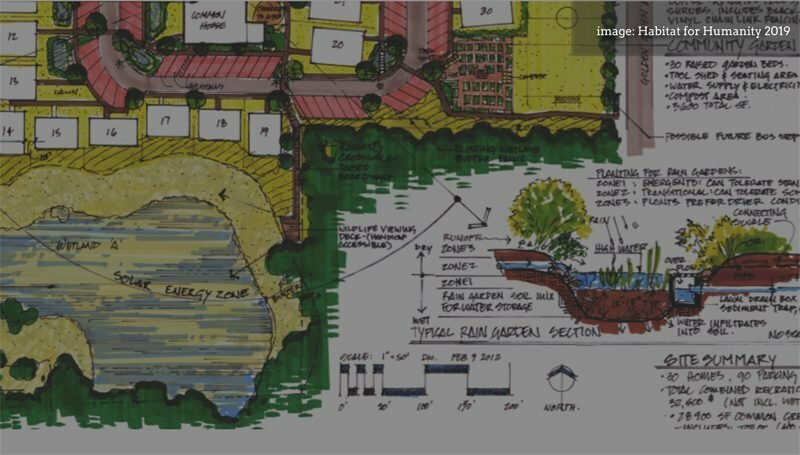 We seek to partner with designers working on buildings, streets, parking areas, and related infrastructure with the intention of protecting downstream water quality and habitat while helping to restore urban ecological function. 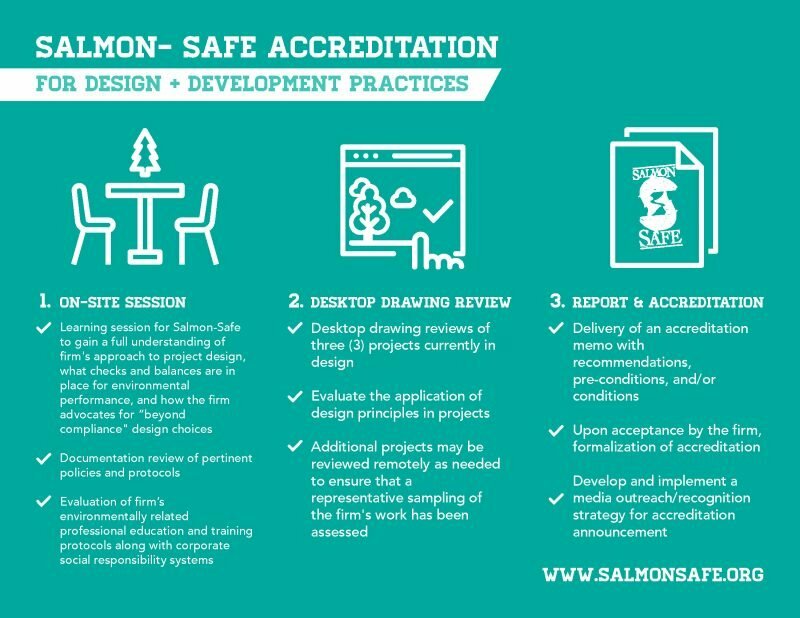 Salmon-Safe Designer Accreditation is now open for pilot participants in Oregon, Washington, and British Columbia. For more information, please contact Anna Huttel, RA.